Maid In West Sussex provide professional, high quality office cleaning services at competitive rates. Our office cleaners are ready to clean for you on a regular or one-off basis. All our cleaners are dedicated, experienced and trustworthy. We fully background check all our cleaners and you can rest assured, we only employ polite, reliable, hardworking cleaners with a proven track record. 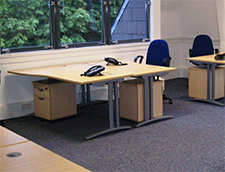 Our office cleaning services are perfect for small to medium size companies. We can provide you with a cleaner on a daily, weekly or fortnightly basis. And unlike other cleaning companies, we will not tie you into a cleaning contract. We prefer to build a good working relationship with our clients and therefore have no need for contracts. Once you have tried us we know you will stay with us. Whether you are a local business, landlord, letting agent, estate agent, holiday home owner, housing association, give us a call, and we will tailor a cleaning programme just for you at very competitive rates. Office Cleaning. A clean workspace creates a pleasant environment, which boost morale, boost productivity and creates a good impression for your customers / clients. Maid In West Sussex provides professional cleaning services to small and medium size local businesses. Our cleaning service is tailored to each client’s specific requirements. Landlords, Tenants & Estate Agents. Landlords, tenants, estate agents or letting agents, we provide first class cleaning services at competitive rates. Just like our domestic cleaning services we can extend these to your properties. These services are perfect for moving in or moving out cleans. If you selling or renting out a property a thorough clean can go a long way to impressing a prospective buyer or tenant. Whatever your cleaning requirements we are here to provide a professional cleaning service. Holiday Home Owners. 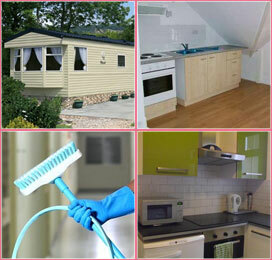 Just like our domestic cleaning services we can apply these services to your holiday home. Whether the holiday home is for your personal use and you want it kept clean / dusted while not in use we can tailor a cleaning programme just for you. On the other hand if you let out your holiday home we can provide a cleaning service to ensure that the property / mobile home is clean and fresh each time for new holiday makers.